A brief glance at Australia’s fickle selection shifts in recent times confirm that no underperforming player is safe for long. And that’s why in just ten days from now, at the conclusions of the series, things may look decidedly different. 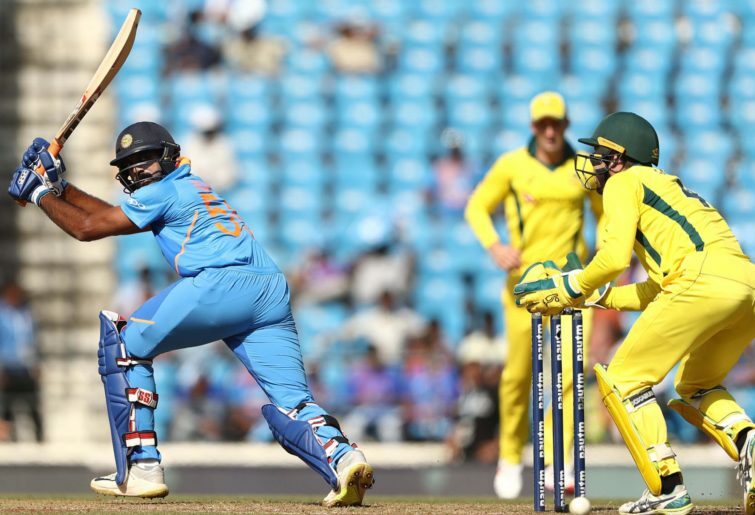 Still basking in the glow of a come-from-behind series win in India – Australia’s first 50-over trophy in over two years – cricket fans and experts have been piecing together their 15-man squads for the World Cup. The injection of interest on these shores is strikingly evident. Just nine months ago the side was in tatters, on the receiving end of a 5-0 English drubbing, including a world record 481/8 at the Aussie cricket graveyard that is Trent Bridge. Yet slowly, despite home losses this summer to South Africa and India (both 2-1), a confidence returned to Justin Langer’s side. That confidence grew, culminating in the stunning win on Indian soil that will be remembered for years to come. In short time, Australia has swung from almost certain group-stage failures to tournament dark horses. But just as the five-Game India series elevated some players to ‘lock’ status for the World Cup (namely Usman Khawaja, Peter Handscomb and Adam Zampa), so too could the next fortnight spell curtains for others. Five games, in the current climate of Australian cricket selection, is an eternity. Consider this: Shaun Marsh was Australia’s most in-form ODI player of the last 12 months before the recent India series. Comfortably Australia’s leading runscorer in the previous three series against India, South Africa and England, he had peeled off four tons in his his last nine games. After touching down late in India due to his wife giving birth to their second child, he missed the first ODI. He returned for the second ODI, scoring 16, before being dismissed cheaply for 7 and 6 respectively in the games that followed. But that was enough for selectors, who admittedly were juggling an unusually high-achieving top order. After just three lacklustre performances, Marsh was dropped. Within three games he went from nailed-on number four to fringe squad member. The irony of Marsh’s contrastingly generous run at things at Test level isn’t lost. But to drop him after three low scores suggests that selectors won’t be looking at large sample sizes before the World Cup. It’s all about the here and now. In a similar vein, Travis Head was cast swiftly aside earlier this summer after a brief lean run. Going into the first game of the South Africa series, Head had scored a half-century in each of his previous three ODI innings. Three failures later, however, and he was dropped, not to be included in future squads. This is not to say he or Marsh have been harshly done by. In fact, Marsh’s axing in the fifth ODI was due to undroppable performances from teammates around him. Rather, it’s to say that by the end of the five-game tour in the UAE, it’s wholly likely players considered safe might find themselves on the outer for World Cup selection. 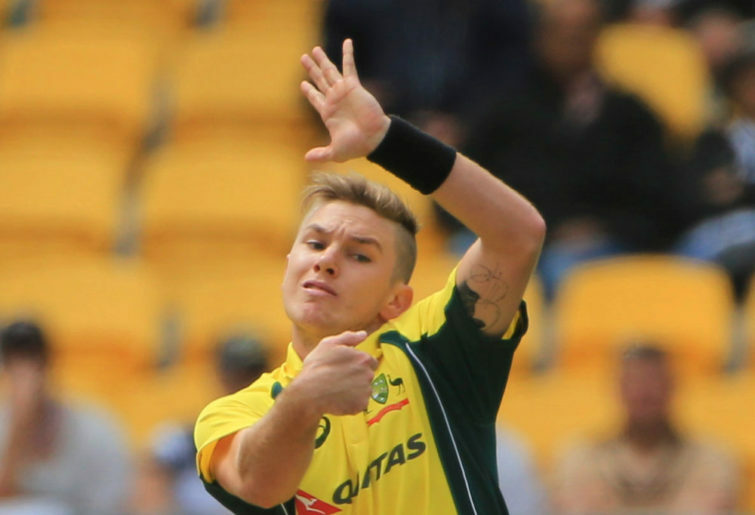 Players like Zampa know the precarious nature of Australian selection. As such, he isn’t counting any chickens. “Throughout my short career I’ve found that things can change really quickly,” he said when asked if he was thinking about the World Cup. Marsh, on the other hand, gave selectors a little reminder of what he brings. Langer has confirmed Marsh will be given a chance to prove himself in the UAE. But if he or the players around him show signs of a slump, they’ll soon find themselves joining the ultra-competitive scramble for spots.